Since quite some time I was wondering why my blog suddenly does not display a title in the browser bar. Hmm, Of course I thought I broke something, but it turned out that this is a feature of a recent WordPress update. Mentioned in a blog entry on the development – or should I say, hidden there so that nobody knows about it – the changes stirred quite some reactions, not the least because a lot, if not all older themes, are suddenly broken. Congratulations WordPress developer to this great move. So what has happened? Many themes use the wp_title function to ship out title tags. 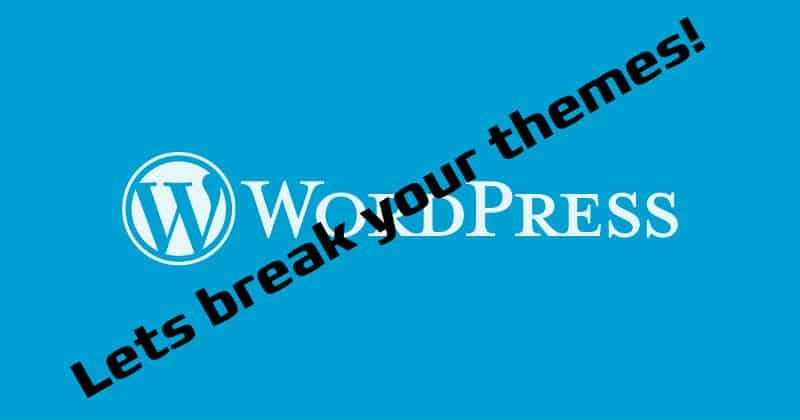 After a short period of deprecation WordPress developers instantiated the function, but in a way that it doesn’t work with older themes. Perfect. This latest change makes the new API (almost) feature complete and theme authors are discouraged from using wp_title() in the future. If it was decided to add a UI to let users choose the make up of their document title, or another improvement to how title generation works, we now have a forward compatible way to handle these things. Well, thanks for putting this well hidden in a development blog. Furthermore, one needs to read the following code quite carefully, otherwise one overlooks that it is necessary to delete the calls to wp_title. Indeed, that worked. Since I am already a child theme the changes were minimal, once one found them.